Mark Wilson is a multiple award-winning author/illustrator with 17 books in print worldwide in nine languages. Mark has a particular passion for Australian history and the environment, particularly endangered animals, exploring these themes through his picturebooks and workshops. 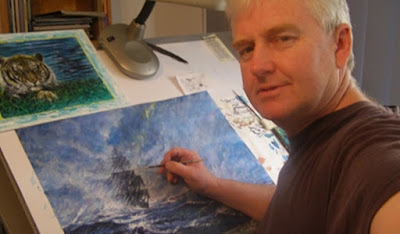 He has won 5 Royal Zoological Society (Whitley) Awards for children’s literature, 9 CBCA Children’s Book Awards, 3 Wilderness Society Picturebook Awards and was shortlisted in the 3rd C.J. Picture Book Awards International. He was also presented with the 2011 Dromkeen Medal for Services to Children’s Literature. Digger - the Dog Who Went to War is a picture book for children, published by Hachette Australia. The story follows a young soldier serving with the 38th Battalion in World War 1, and the pup he takes with him when he embarks at Port Melbourne with the 4th reinforcements, on October 20, 1916. The story follows the 38th Battalion, with the little pup as its mascot, to the war in Europe, and the battle of Messines in Belgium. The troops of the 38th Battalion then move on to battles at Polygon Wood, Broodseinde and Passchendale. The story has its climax during the terrible German counter-attack at Mont St Quentin on September 3, 1918. The author's grandfather was wounded during the battle of Bullecourt in WW1, and the dog called Driver, who was the 'real life' inspiration for his book, was also at the battle of Bullecourt. 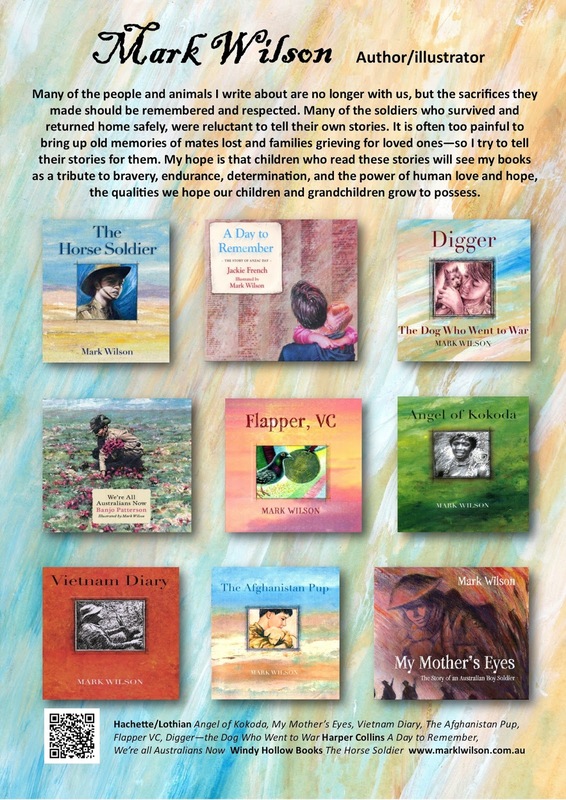 He hopes his book will help children understand the sacrifices our forefathers made, and also understand what the animals we take to war go through. He says 'They cannot speak for themselves, so I tell their stories for them'. Name something positive that you discovered while you were writing/illustrating/researching the book? True story! Driver, the real dog the story is based on, was the best rat catcher in the Australian soldier's trenches during WW1, and helped catch hundreds of rats. Rats were such a pest, that an extra ration of rum was awarded to any company that caught the most rats. So Driver’s company received plenty of rum, until the officers found out that it was really Driver catching the rats! Name something interesting that you discovered while writing/illustrating/researching the book. Driver also learnt to tell the sound of enemy aircraft approaching, and would run up and down the trenches barking before they arrived - warning our troops to take cover. He saved many lives doing that on many occasions. Clever little fellow! Name something sad/tragic/negative that you discovered while you were writing/illustrating/researching the book. Driver, the 'real dog' that the story Digger - the Dog Who Went to War is based on, was a Silky Terrier. My daughter had a little Silky Terrier too. He was called 'Kouta' after the Carlton AFL football player Anthony Koutafidies. I used 'Kouta' as the model for the story. Kouta hung around with me in my studio all the time, and we were good mates. 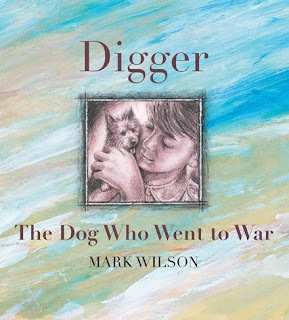 He passed away at Christmas when I was working on the book, so Digger - the Dog Who Went to War has become my own tribute to my best little mate.